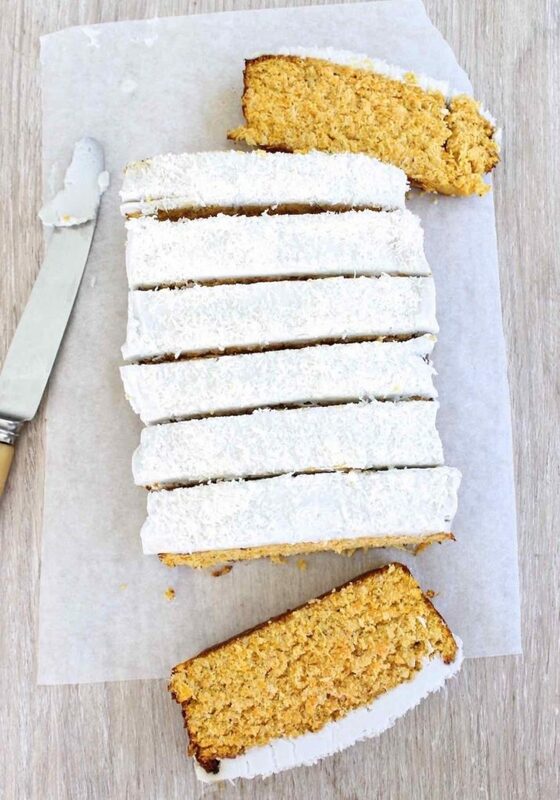 Carrot coconut cake | Super easy gluten free, refined sugar free recipe. How bloody yum does this gluten free carrot coconut cake look! And that icing! This is a contributor recipe from the amazing Nutritionist and Naturopath Casey-Lee Lyons from Live Love Nourish. 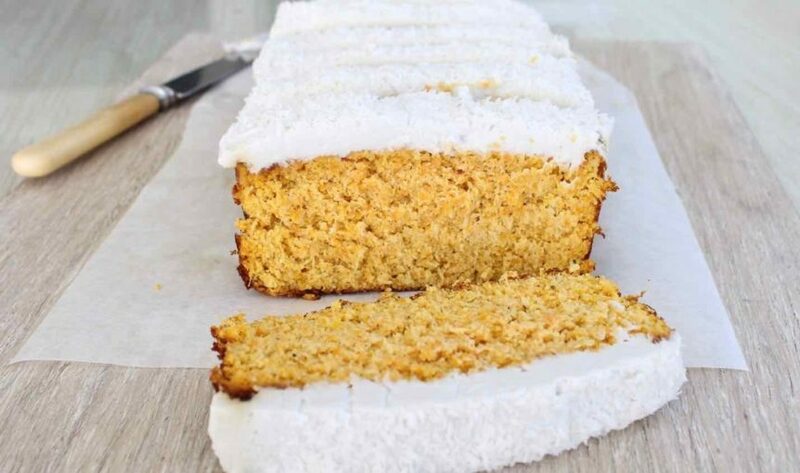 This moist and naturally sweetened gluten free carrot coconut cake is not only free from gluten, grains, dairy and refined sugar but is also rich in fibre and great for sensitive tummies or those with food sensitivities. The cake is also nut free and paleo friendly and finished with a dairy free coconut cream frosting. From sunny Queensland, Casey-Lee Lyons is passionate about sharing healthy recipes and practical nutrition tips to help you to feel your best. Casey-Lee is a qualified nutritionist and naturopath, recipe developer and founder of the health and wellness brand Live Love Nourish. She shares her recipes, expert nutrition and lifestyle advice over at Live Love Nourish. Pre-heat oven to 175°C (fan-forced). In a blender, blend grated carrot, pineapple, eggs and coconut oil to combine. Try not to over-blend; some texture is fine. In a separate bowl combine coconut flour, coconut, baking powder, cinnamon, vanilla and nutmeg. Pour wet carrot mix into dry flour mix and combine. Pour batter into a lined loaf/cake tin. Bake in oven for 1 hour 15 minutes or until cooked through. Allow to cool on a baking tray. Now for the frosting, take canned coconut milk from refrigerator but do not shake. Scoop out the solid coconut cream that has risen to the top. Place cream into a mixing bowl. Add maple syrup and lemon juice. Beat with electric mixes for up to 5 mins until thickened. Store in fridge until cake is cool and ready to be iced. Spread coconut cream frosting on top of cake. This recipe would make super cute and delish cupcakes too!